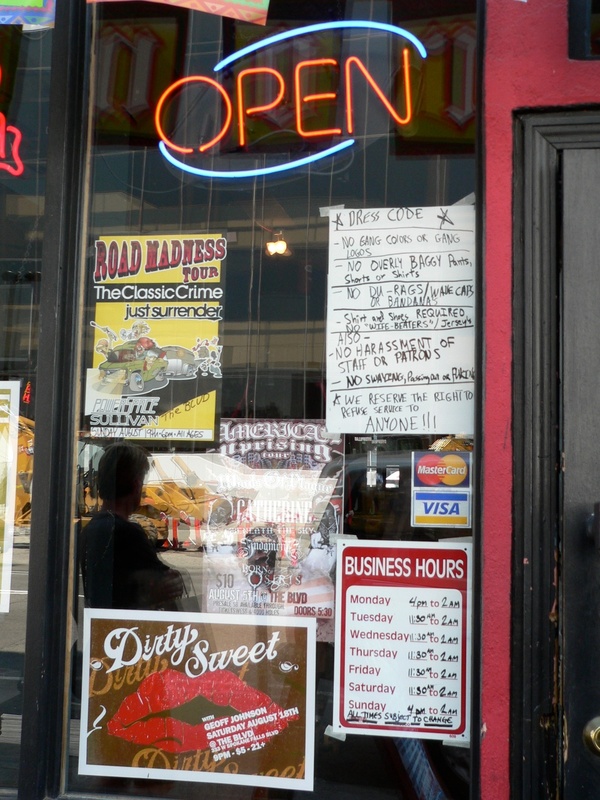 The “Dress Code” sign was located in the window of a downtown bar in Spokane WA. As crudely written as it was, it got to the point. The presentation in itself emphasized the message. I wonder if it had been professionally done with proper grammar and neatly printed whether it would have had the same effect. This establishment meant what it conveyed. Even as this picture was being taken, a staff member came out and asked if he can help us. We explained our appreciation of the sign and he left us alone. We reserve the right to refuse service to ANYONE!! !